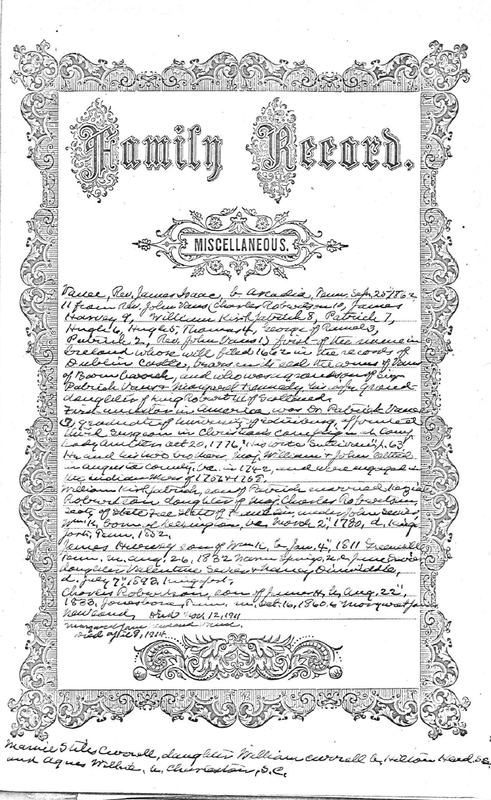 Tennessee birth certificates were not required until 1908 and thus Family Bibles can be a very important way to prove birth dates. The Tennessee State Public Library has been collecting more than 1,500 family Bibles since the 1920s and these bibles are now available to the public. Cinnamon Collins is the volunteer who scanned all the Bibles into the database. She scanned the pages with notations on them but also read and examined the materials tucked inside — photographs, locks of a sweetheart’s hair, newspaper clippings, mementos. All the entries she saw were handwritten and sometimes difficult to read. Oooo, thanks for posting! My husband's family has deep roots in Tennessee.